One of the world’s most important collections, the Rijksmuseum boasts over 8,000 artworks that span 800 years of Dutch history. Alongside famous works such as Vermeer’s The Milkmaid and Rembrandt’s The Nightwatch, this encyclopaedic museum holds an extensive collection of Asian art, European decorative arts and innumerable objects of curiosity. 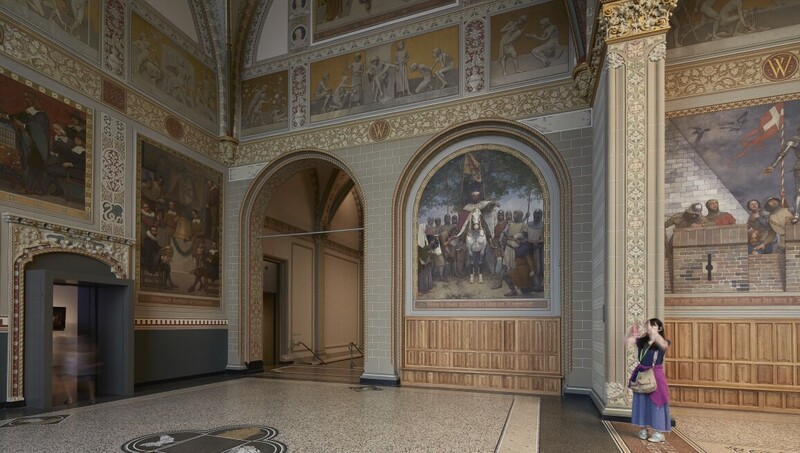 Visited by over two million art lovers and tourists every year, the original Dutch National Museum was founded in The Hague in 1800 before moving to Amsterdam in 1808. The main building was originally designed by Pierre Cuypers and renovated by the Cruz y Ortiz architectural studio in 2013.
oil on canvas , 144 x 171 cm. oil on canvas , 91 x 77 cm. 42 × 34 × 8 cm. oil on canvas, 45.5 × 41 cm. oil on canvas, 102 × 66 ×14 cm.